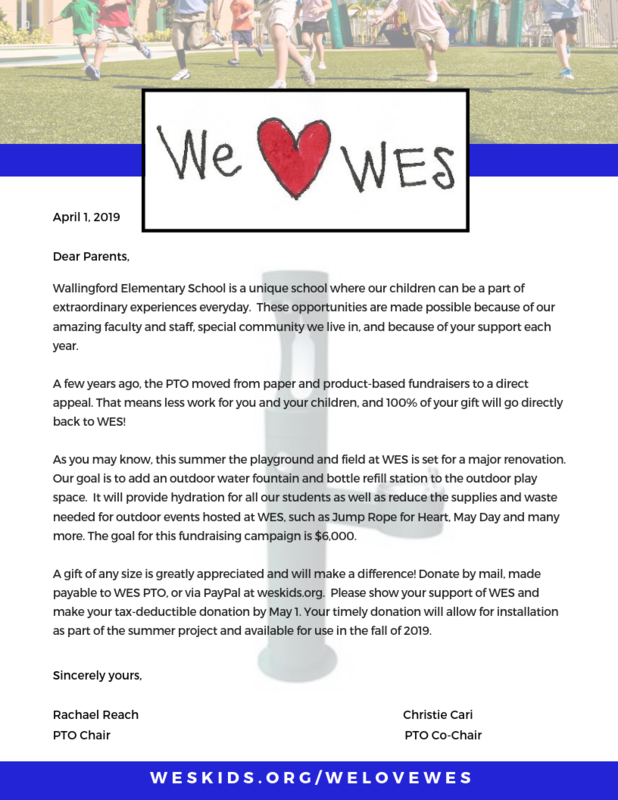 The We Love WES fundraising campaign is underway! Help us reach our goal of $6,000 to support the many activities and events supported by the WES PTO. This year, your timely donation will provide an outdoor water fountain and bottle refill station for installation during the summer 2019 outdoor play area rennovation. Click here for more information or below to make a donation. Any local organization or company that would like to make a donation, either monetarily or with a raffle item, at one of our many events throughout the year, are encouraged to do so. Please contact the Chair or Event Coordinator for further information. Make your donation go twice as far. Many companies match donations made by their employees to our organization. Consider checking with your company about matching donations.